STEVE DAGGETT is a UK based singer-songwriter, musician and producer residing in the North East of England. 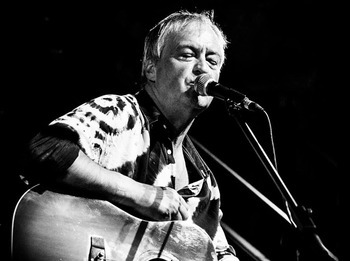 Steve performs solo live shows on acoustic guitar, with gritty soulful vocals and a lonesome harmonica. He is also a long time associate and current member of legendary folk/rock group LINDISFARNE after rejoining the band on their reformation in 2013. The distinctive original songwriting style and charged live solo performances make him a ‘must go and see’ artist. His live show also features some unique, inspired personal interpretations of some classic songs by early influences. To date, he has released 3 official albums and an extended single* of his own works. Since then several limited edition CD releases have been issued – available from live shows only. This year will see Steve in the studios recording a new album of original songs with a hopefully intended Autumn release.